China’s manufacturing activities posted a strong recovery in August, showing further signs that the world’s second largest economy is stabilizing. 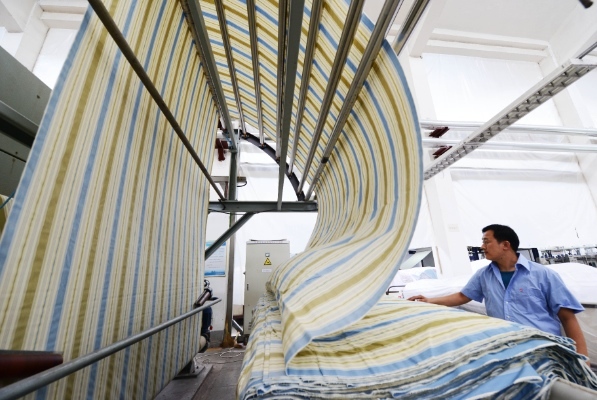 The purchasing managers’ index (PMI) for the manufacturing sector rose to 51.0 percent in August from 50.3 percent in July, marking the second monthly expansion in a row, and the highest reading this year, the China Federation of Logistics and Purchasing (CFLP) said on Sunday. The 70 basis points expansion also represents the biggest increase since January. In the months prior to August, the data had swayed back and forth. The ruling Communist Party of China has stressed on renewed reforms. “Reform and opening up serve as a critical strategy to determine modern China’s destiny and rejuvenation of the Chinese nation. There should never be an end to the practice and development, emancipation of the mind, and reform and opening up,” read a statement released after a key meeting last week.